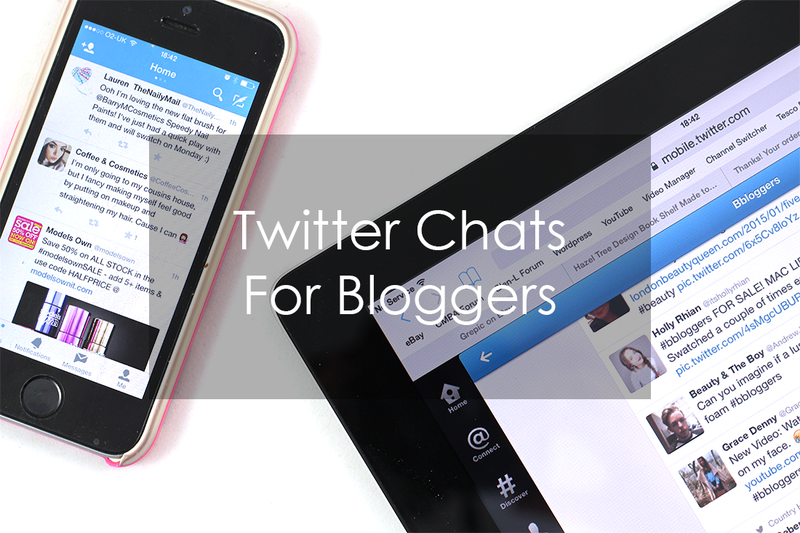 One of the blogging resolutions I made at the beginning of the year was to join in with Twitter chats more often. For some reason I just got out of the habit of it. When I started blogging nearly three years ago there didn't seem to be very many chats; but now there's absolutely loads of them and I can never remember which ones are on when. I made a list of the chats on the Notes app on my iPhone, but thought I'd also pop them up on a blog post to help me remember - and hopefully to help you all too if you've been struggling like me! These are blogger chats for beauty, fashion and lifestyle and I have included the hashtag and the Twitter handle (if there is one). Times are GMT. As you can see, there is at least one chat every day! Some of these have a different topic every week (some will ask set questions as part of that topic) and some are just general chats. I recommend checking out the Twitter handle for any chat you want to take part in or just simply find out via the hashtag. There are just so many I was clueless about. So thank you, must make sure I join in a few now! Thanks for sharing these! I'm always missing them! I saved these so hopefully I wont not! Great list I'm so rubbish with these lately I really need to catch up with some chats! Thanks for posting! I participate in quite a few chats but I didn't know there were so many! Wow! This is great, I'm going to get straight into it. Thanks for posting ! Thanks for the list! I had no idea that so many existed. I only just recently learnt about these 'Twitter Chats' and think that its such an interesting way of using Twitter!